OTTAWA, ON – Kichesippi Beer Co. has announced details of the next release in the Wuchak Series of seasonal IPA releases. Named after the Algonquin word for “groundhog” – and source of the English word “woodchuck” – the Wuchak series has so far included Wuchak Black, a black IPA released last winter, and Wuchak Polaris, a German-influenced edition that was available through the spring; and Wuchak Throwback, a West Coast IPA that came and went quickly in June. 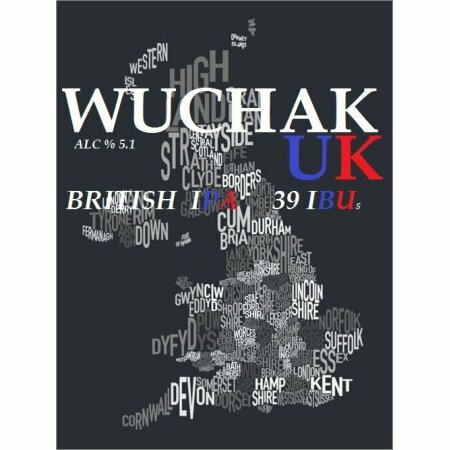 The final addition to the quarterly rotation is Wuchak UK, a traditional British-style IPA brewed to 5.1% abv and 39 IBUs. Wuchak UK is available now for growler fills at the brewery, and will soon be on tap at select bars and pubs in the Ottawa area.